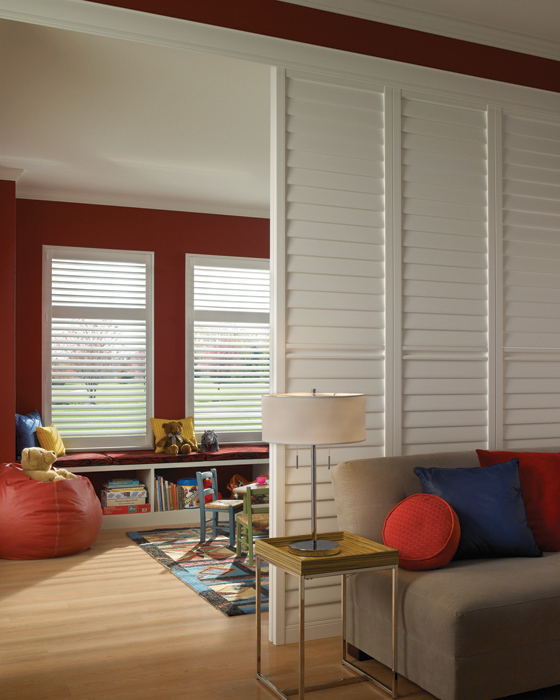 Introducing Ultra Satin finish, a revolutionary technology for Eclipse Shutters that successfully achieves the look of a premium painted shutter. Bring elegance to any interior with the soft, matte lustre of freshly painted wood that never has to be refinished! 3 neutral colors to choose from. Louvers tilt in either direction for superior light control and energy efficiency. Closing the louvers upward can help keep heat in the home and provide more privacy. 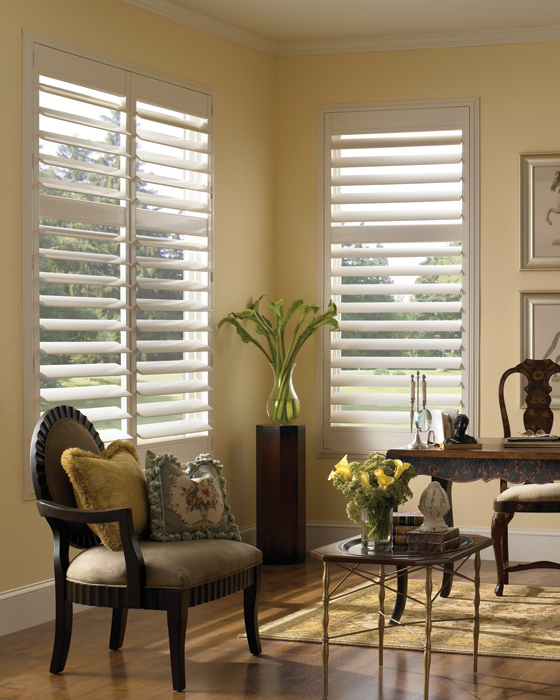 Environmentally friendly, Eclipse™ Shutters do not destroy our forests. All scrap is recycled. 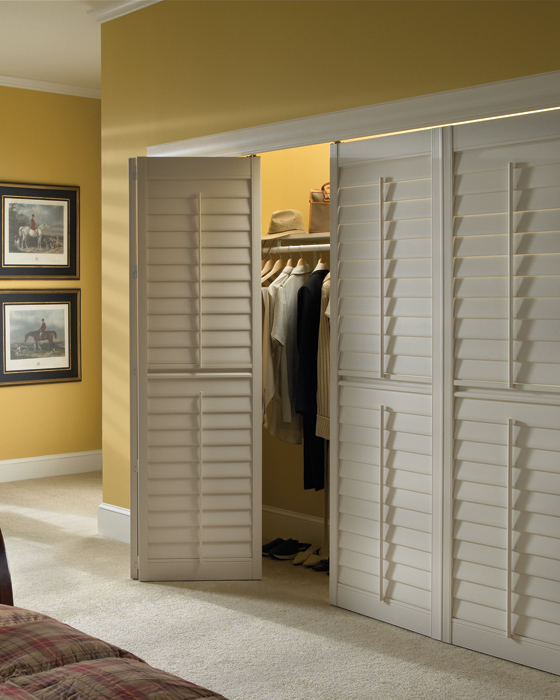 Hidden louver joiners provide an unobstructed view, giving our classic shutter a clean and contemporary look. Unique panel lock system eliminates the use of magnets. When panels are closed, a spring loaded plunger acts as a ball catch to hold the panels in the closed position. 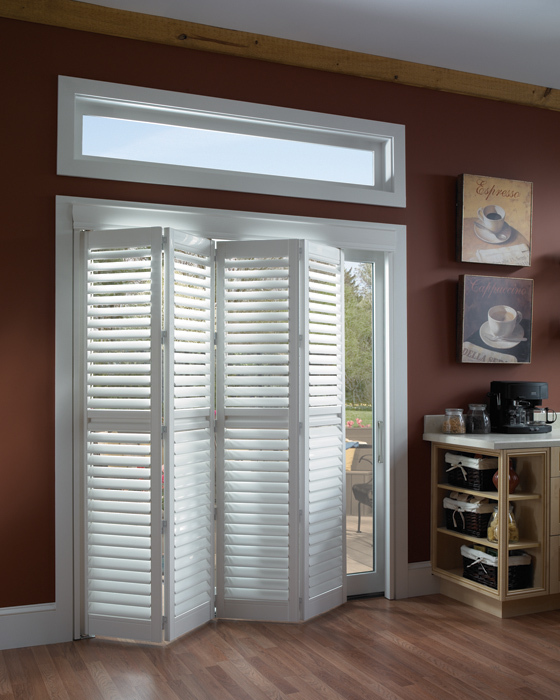 French door cutouts are ideal for adding shutters to French doors. Designed to work with standard round door handles and lever handles, these cutouts are available with 2 1/2" and 3 1/2" louvers. Pre-drilled installation holes are strategically placed on all frames for accurate, quick, and clean installation. Factory installed two part hinge system allows panels to be removed easily for cleaning. L-frameFrame may be mounted inside window frame. Inside mount means the shutter is installed within the window frame. L-frameFrame may be mounted on the wall face or directly on top of an existing trim that is a minimum of 2 5/8" wide. Casing Frame may be mounted on the wall face or directly on top of an existing trim that is a minimum of 2 5/8" wide. 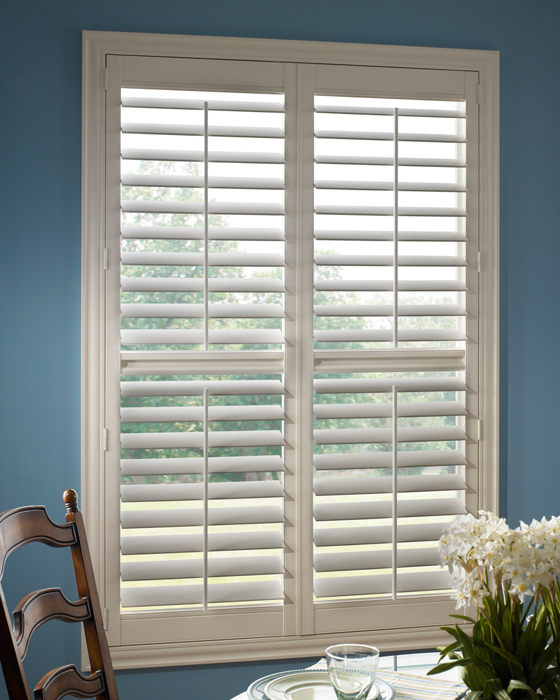 For windows with depth less than 1 1/2", an outside mount shutter is recommended. 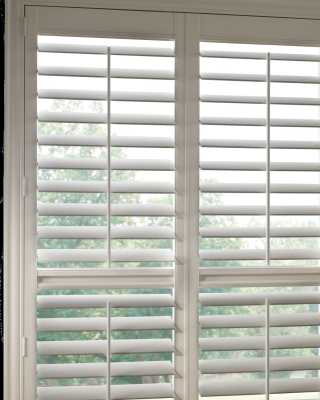 Clear Tilts are installed on the back of the shutters, allowing unobstructed view to outside. Lovers can be open and closed by tilting one of the lovers. Required for shutters longer that 60" in height. It will be placed horizontally at the center of the shutter. Windows less than 60" in height do not require a divider-rail. Windows more than 60" in height do require a divider-rail. The Deluxe diver-rail will have a latch for easy operation of the panel. For Diver Rails that are NOT at the vertical center, we will contact you to get the exact location. T-post are used to allow more panels be installed in a single frame. T-post will be placed in the center of frame, unless specified. Please call Customer Service for specific placements. Specify if the window has a sill frame. 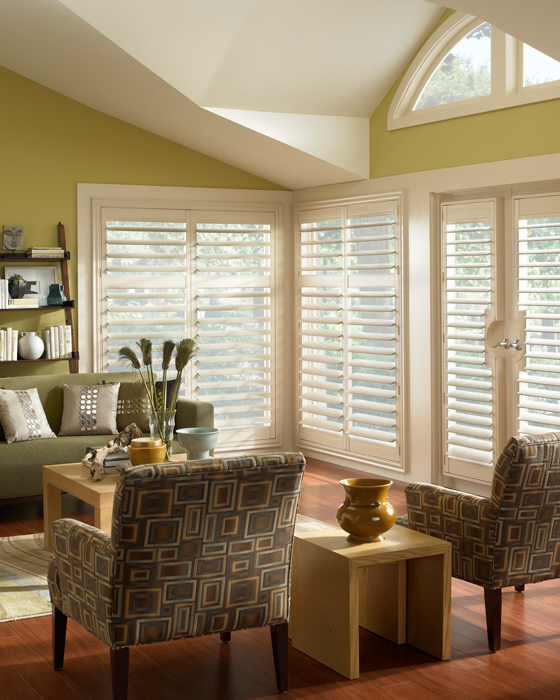 If window has a sill frame, the bottom section of shutter will not have a lip to wrap around the frame. 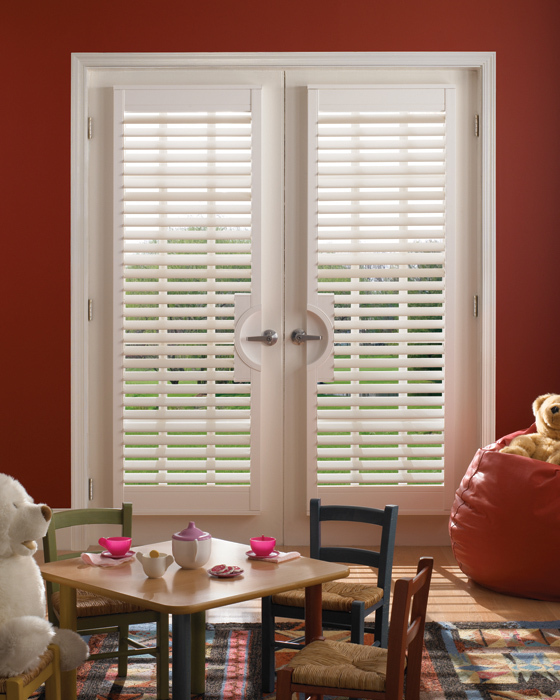 If window opens or tilts inside for cleaning, the inside mount shutters prevent the window from tilting. 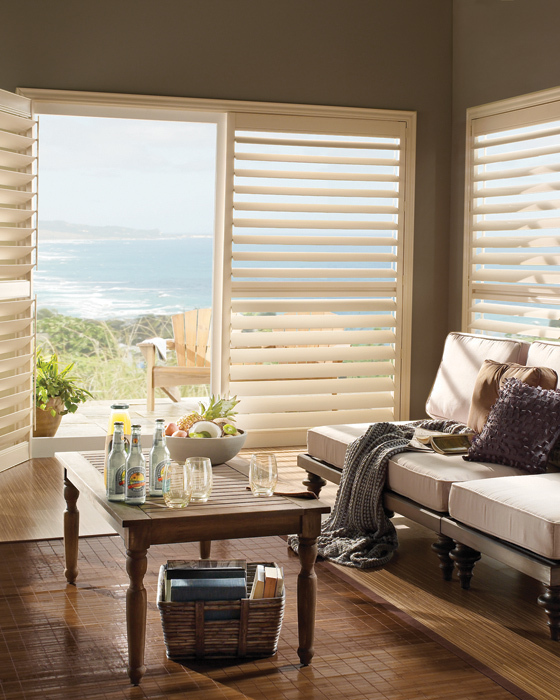 Use a shutter with outside mount option that is larger than window frame. Cutout are used to allow for door knobs. Our customer service will contact you to get the exact location of the Cutout.